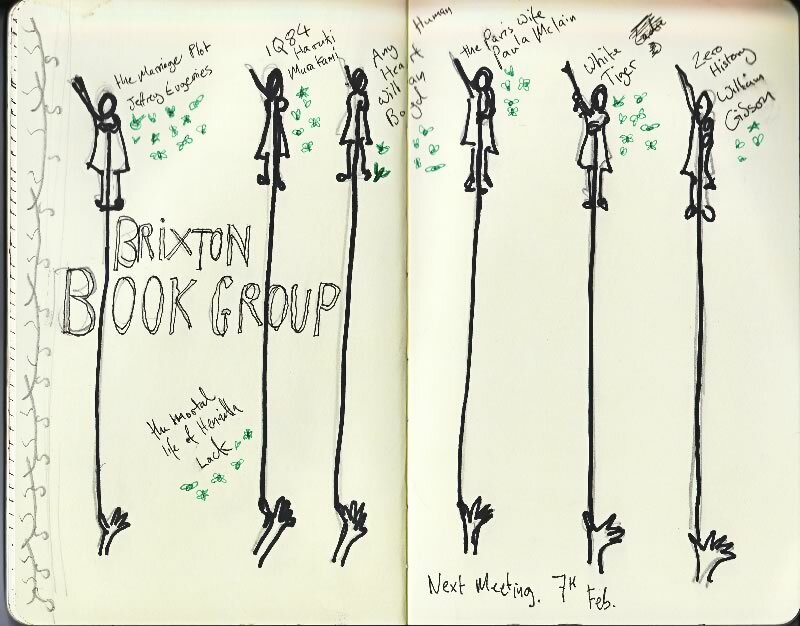 So we’re off to a great start with out first meeting of 2013 where we discussed a Fine Balance by Rohinton Mistry – no one seems to have anything nice happen to them ever, but it’s a fine piece of writing nevertheless. We also discussed the influence Jonathan Creek had over Edgar Allen Poe (or is that the other way round). The book for next time is The Marriage Plot which would probably have a very fine soundtrack by French band Air if it were to be made into a film. Runners up were IQ84, Any Human Heart, The Immortal Life of Henrietta Lack, The Paris Wife, White Tiger and Zero History.